. :: ROYAL WINDSOR HORSE SHOW BOOSTED BY ITV AND SKY SPORTS COVERAGE ::. 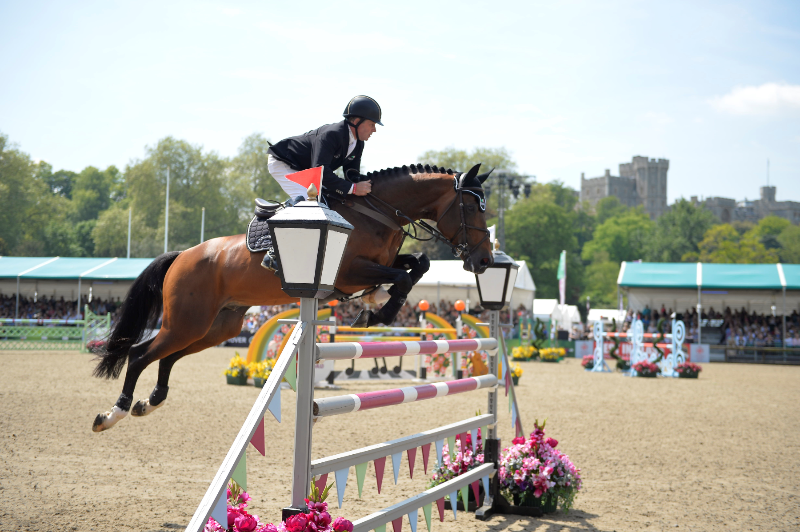 A new dedicated ITV programme heads the extensive television coverage scheduled for Royal Windsor Horse Show, which takes place from 10 – 14 May. With highlights of the international competition also due to be shown on Sky Sports and Horse & Country TV, coverage of the event will be better than ever. Furthermore, much of the top-class action on display throughout the week will be available to view worldwide via the Show’s live streaming service. In a boost to the schedule, ITV will be broadcasting a 30-minute highlight programme at 8pm on ITV1 on Friday 12 May, featuring action from the first three days of the Show. Headed by well-known presenter, Alan Titchmarsh, the magazine style programme will give viewers the chance to catch all the latest news from the Show and get a glimpse from behind the scenes. The coveted CSI5* Rolex Grand Prix will feature on Sky Sports 3 at 7pm on Friday 19 May, and Horse & Country TV will also be showing the CDI4* Freestyle Grand Prix Dressage, the CSI5* Kingdom of Bahrain Stakes Show Jumping and the CAIO4* Driving Grand Prix between Saturday 20 May and Friday 26 May. For those not wanting to wait, live streaming will be available via the Royal Windsor Horse Show website. Live streaming was a successful addition to the Show in 2016 and will once again show the majority of the action taking place in the Castle Arena across the five days of competition. The service enables those not able to attend the prestigious event to enjoy the wide range of elite equestrian performances. The newly upgraded CSI5* Show Jumping and CDI4* Dressage will be among the world-class International highlights available to view live, as will many of the best Showing classes and the ever-popular displays, including the Musical Drive of the King’s Troop RHA, the Musical Ride of the Household Cavalry Mounted Regiment, the Shetland Pony Grand National, and the DAKS Pony Club Mounted Games. Streaming will start with National Show Jumping at 7.15am on Wednesday 10 May, with a host of Britain’s best riders taking to the arena over the course of the morning, including crowd favourites Ben Maher, Laura Renwick and Tim Stockdale. Fans will be able to watch selected highlights of the Show, such as the CDI4* Dressage on the evenings of Thursday 11 and Friday 12 May, and the CSI5* Show Jumping, via an enhanced TV style webcast, offering spectators the best multi-camera view of the action from wherever they are in the world. Also amongst the highlights available online will be the recently announced retirement of double Olympic gold medal winning duo, Nick Skelton and Big Star, scheduled to take place on 5.05pm on Sunday 14 May. The ceremony is set to be an emotional occasion, as the pair bow out in style in front of Her Majesty The Queen.